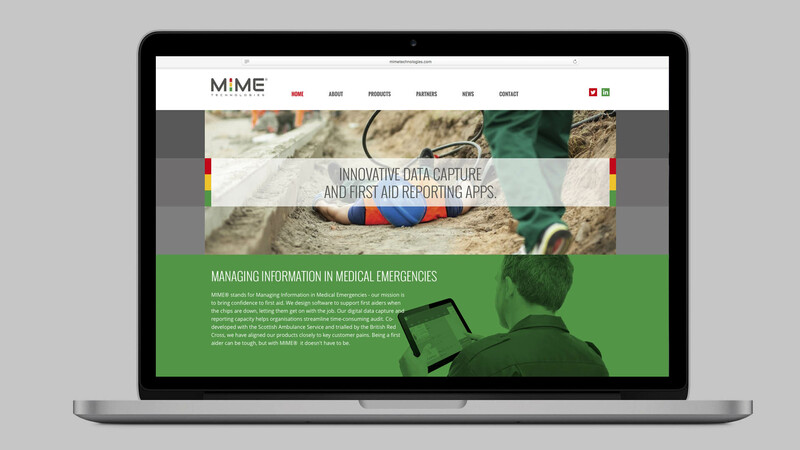 MIME® stands for Managing Information in Medical Emergencies – and their mission is to bring confidence to first aid. 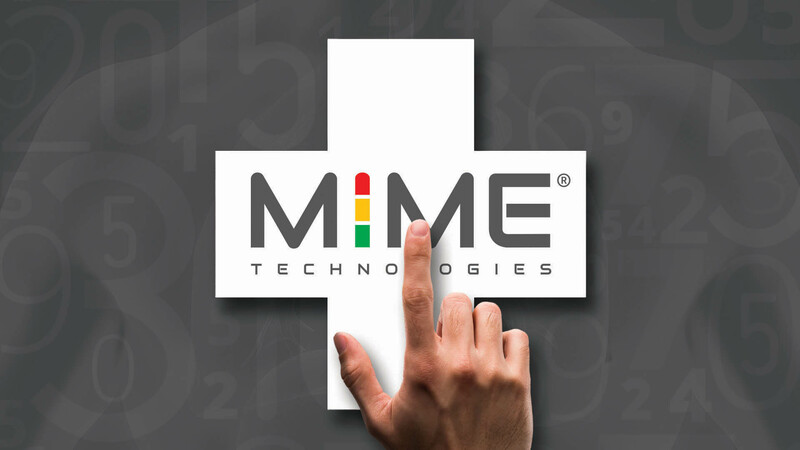 MIME® design software to support first aiders in tough situations, letting them get on with their job. Revolutionary digital data capture and reporting capacity helps organisations streamline time-consuming audit. 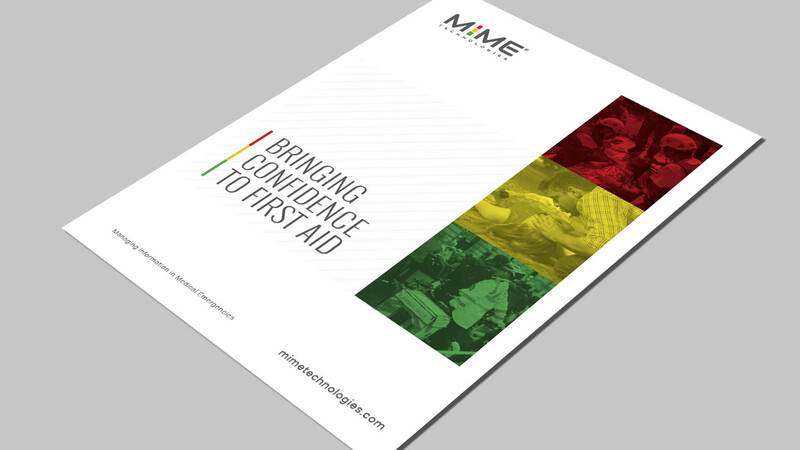 Co-developed with the Scottish Ambulance Service and trialled by the British Red Cross, MIME® have aligned their products closely to key customer pains. 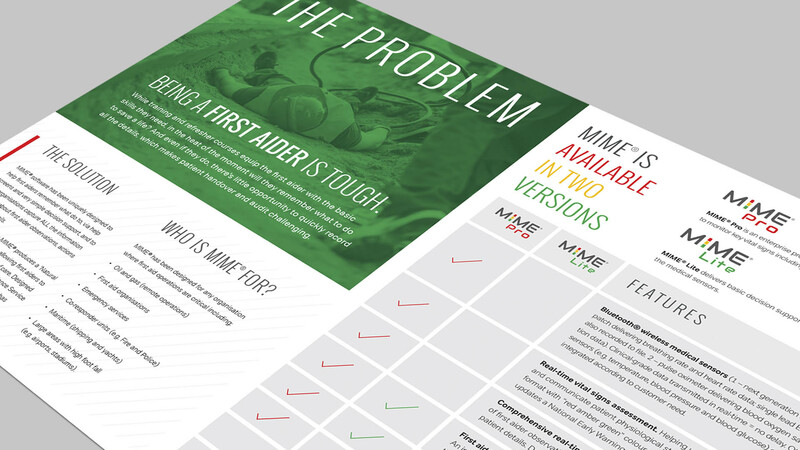 Being a first aider can be tough, but with MIME® it doesn’t have to be. 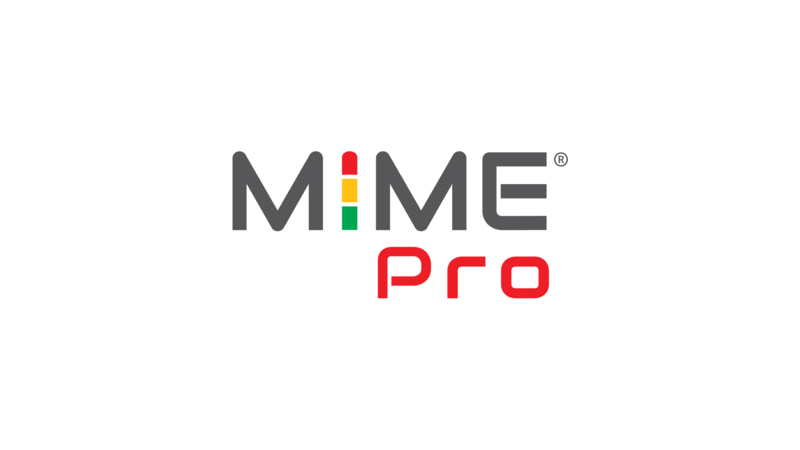 Tide have been supporting MIME® for the last six months developing their brand – creating an identity and website. 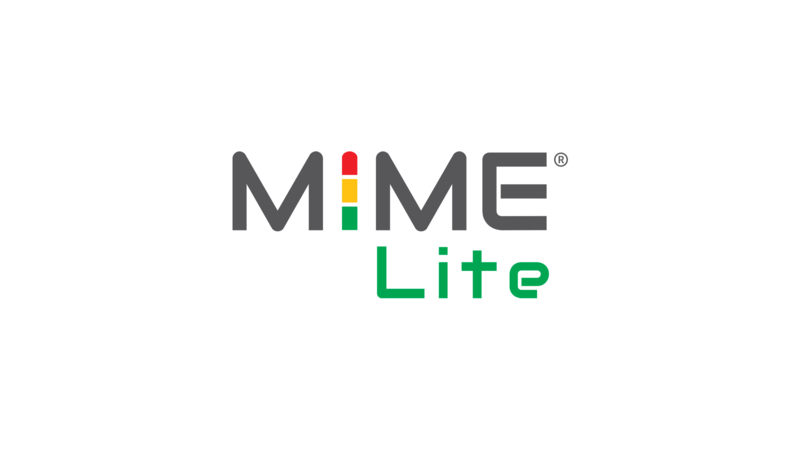 Our aim was to create a clean, clinical identity. By introducing colour from the ‘traffic light system” (often referred to in emergency response procedures) allowed us to be creative in the use of large block colour and by overlaying colour to photography adds depth and drama to images.